The smell, the aroma, and the fact that a vanilla bean comes from an orchid makes the most common flavoring actually quite exotic. Having your own perpetual vanilla extract on hand is a simple thing to do and the rich, full flavor of this extract is well worth the six months you have to wait for it to develop. The procedure is quite simple. Slice the beans open lengthwise, leaving about 1/2 to 1 inch at the top of the bean still attached. Scrape the tiny seeds from inside the pods, then place the beans and seeds into a glass bottle. 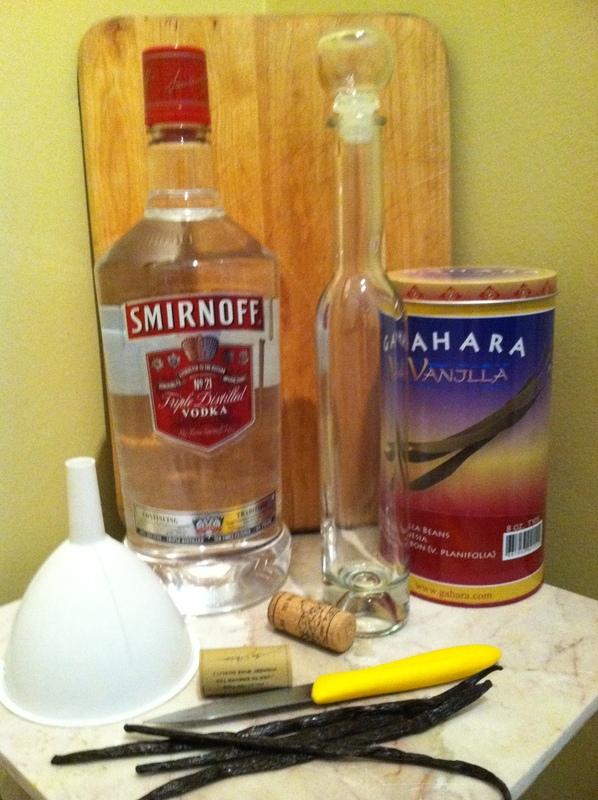 Place the funnel on the top of the bottle and fill with the vodka. Put the stopper on the bottle and shake vigorously. Make a small label for the bottle (a piece of tape will do) and write the date you made the extract on it. Here’s the hard part; store in a cool dark place for at least six months. Shake the bottle from time to time to loosen the seeds. The color will go from pale to warm brown. 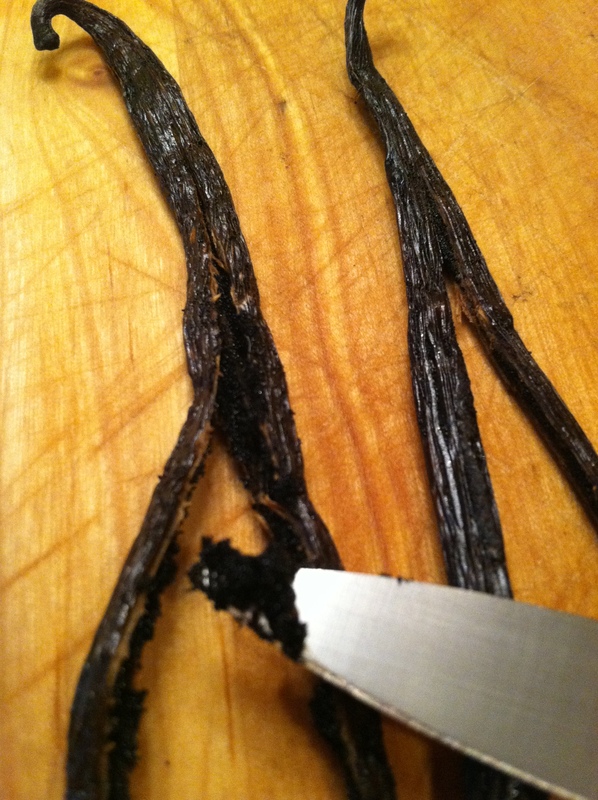 As you use other vanilla beans in your cooking, add the remaining pods (even if the seeds have been used) to the bottle to fortify the vanilla flavor. After six months you can begin to use the extract. As you use it, refill with vodka as needed. 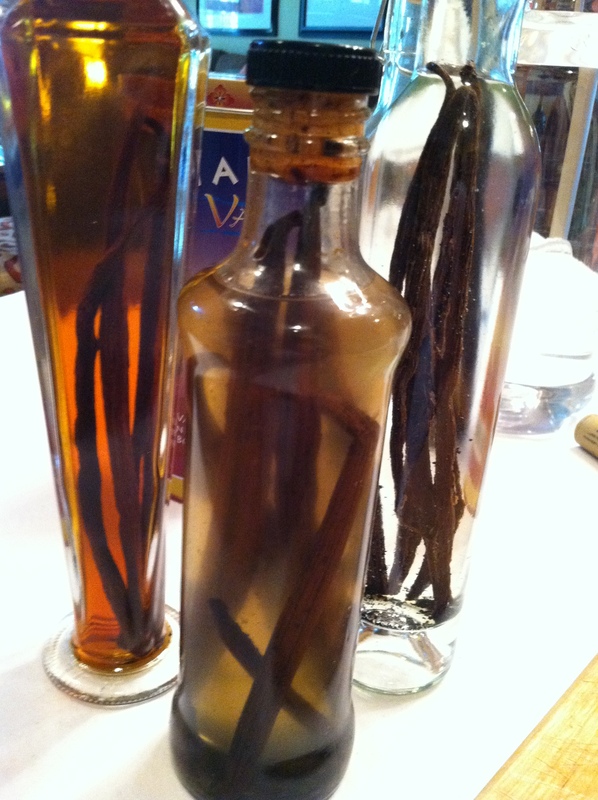 You will have a lifetime supply of wonderful premium vanilla extract. If you want the vanilla specs in your cooking, shake and measure. If you want just the extract with no specs, don’t shake it. Hint: Make 2 bottles so as you refill one, use the other so the flavor can continue to develop and become richer as time goes by.